Welcome to our Website, we hope you like what you see ! We are a Local Business with over 10 years experience in Hiring Inflatables. We take Safety and our Customer Satisfaction very seriously which is why we have so much repeat Business. We deliver our Equipment at a time that suits you, we give Full Instruction and all of our Equipment is inspected and cleaned before we deliver. 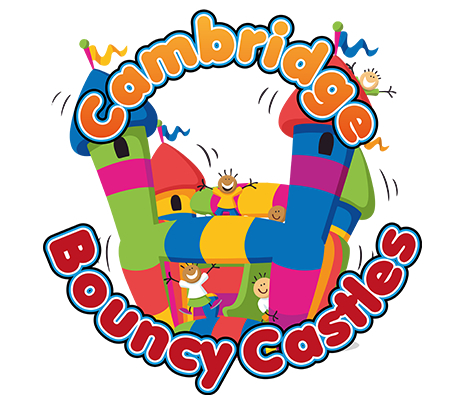 Take a look at our Extensive Range of Bouncy Castles, Inflatable Slides, Assault Courses, Sumo Suits and Soft-Play. Can't find what you are looking for please give us a Call or send us an Email, we will be glad to help. We cover Cambridge, Royston and surrounding Villages. If you think you fall outside that area give us a Call to find out if we can deliver to your Area. We have much more than just Bouncy Castles, we have Kids Soft Play, Disco Dome, Bungee Runs, and Adult Inflatables. Fun for all ages !! Please note we need at least 1 metre around Equipment, Outdoor Hire must be on grass. We need an extra 1ft ceiling clearance for any Indoor Hire to allow for Castle movement when in use. Ball Pools will require an extra £10 deposit. If upon arrival for collection the Balls are in the Pool we will return the deposit. All Inflatables must be Supervised by a Responsible Adult at all times. Equipment is available for Hire at Public Houses. Cancellations must be made before 8am on the day to avoid any charges. Weather conditions apply to the T&C's. Hirers will be responsible for any damage. We have a very good rate of repeat Business. All of our Operatives are friendly and courteous and we go out of our way to make sure your day is a fun as possible.